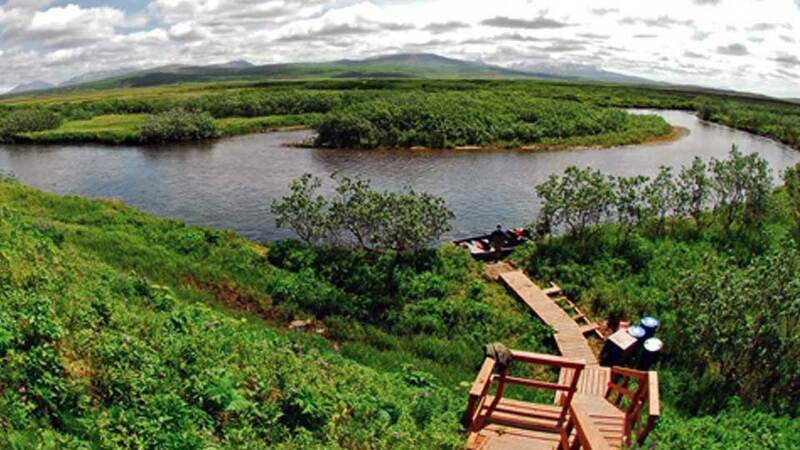 Aleutian Adventures’ remote Alaskan fly fishing camp on the Sapsuk River provides anglers with exclusive access to some of the most remote, pristine and virtually untouched waterways in the gateway to Bristol Bay. 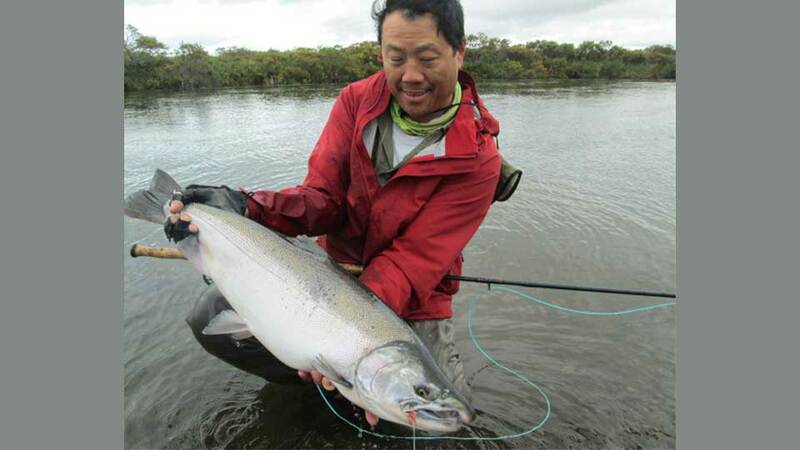 Swing flies to wild salmon at Aleutian Rivers Angling remote salmon camp in the Alaska Peninsula. The Sapsuk, which is also known as the Hoodoo River, is ideal for fly fishing and is easily waded. The camp has exclusive access to multiple rivers and caters to only six anglers per week. 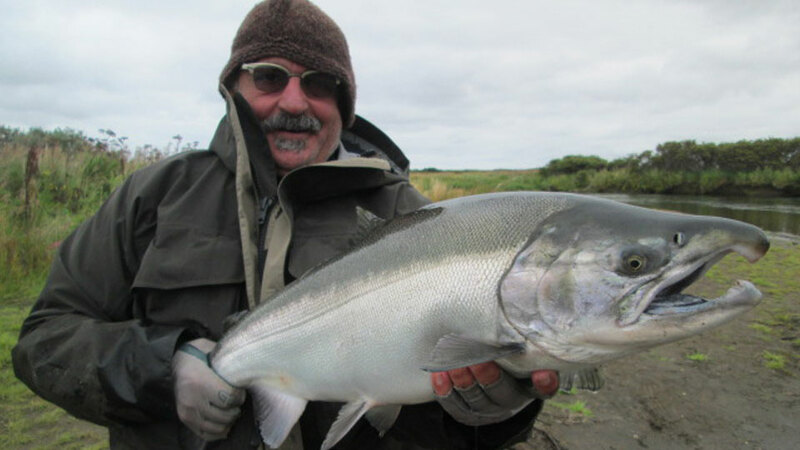 Fish for chrome-bright kings and silvers fresh from the Bering Sea. There are also plenty of chum, sockeye, pinks, rainbows, and dollies. Guy Schoenborn visited this intimate camp in September of 2014. He was very impressed. Anglers mostly wade fish. The Camp employs 16’-17’ boats with 60 hp and 40 hp Yamaha motors for accessing fishing areas. Three anglers per boat and guide. "Put this one on the bucket list." - Brian Okeefe. 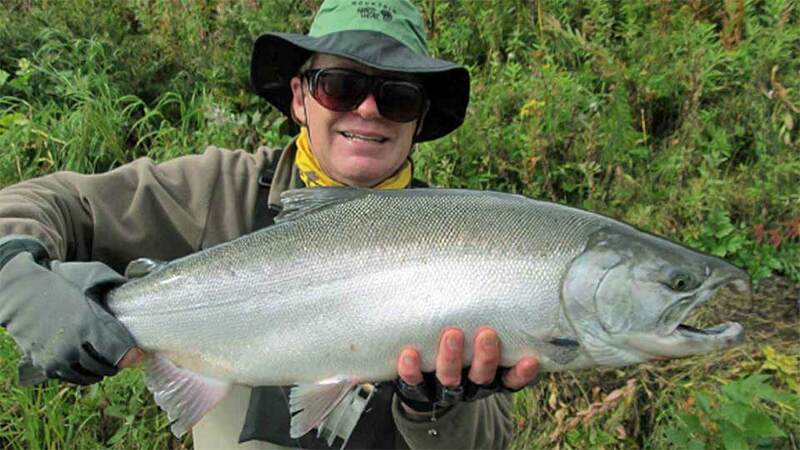 King Season: June and July - These chrome-bright kings come straight out of the Bering Sea and onto the end of your line. 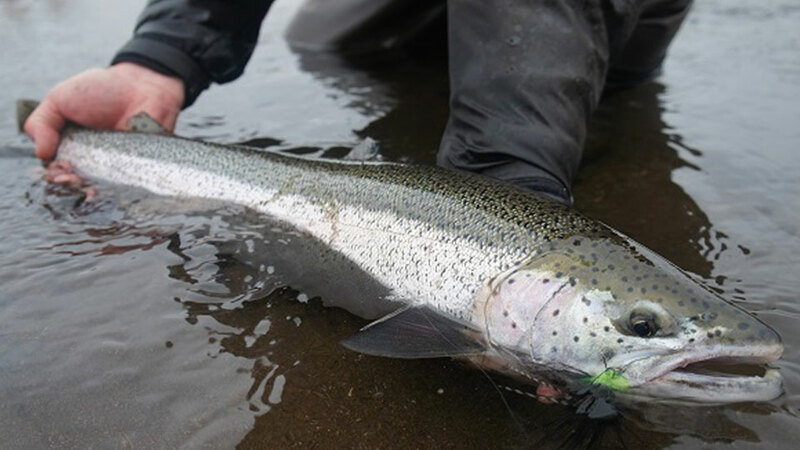 Anglers can expect to catch between two and eight kings per day. Catch-and-release king fishery. July and August are Grand Slam Season. 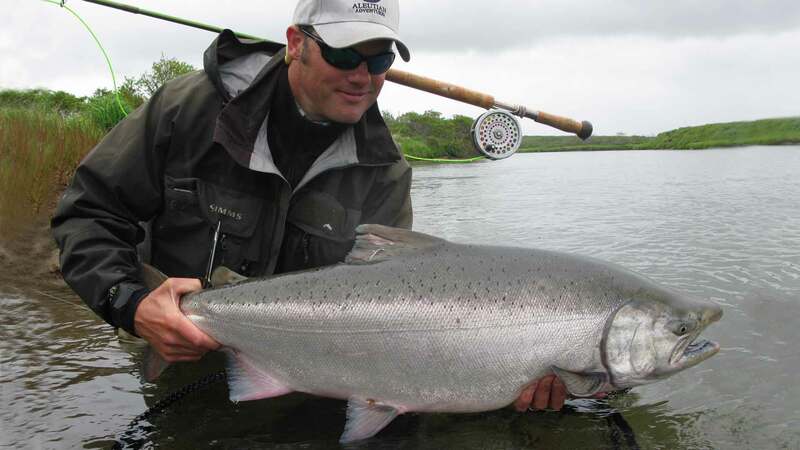 The Sapsuk River is one of the best places in the world to catch all five species of Pacific salmon on the fly for the coveted Alaskan Salmon Grand Slam. 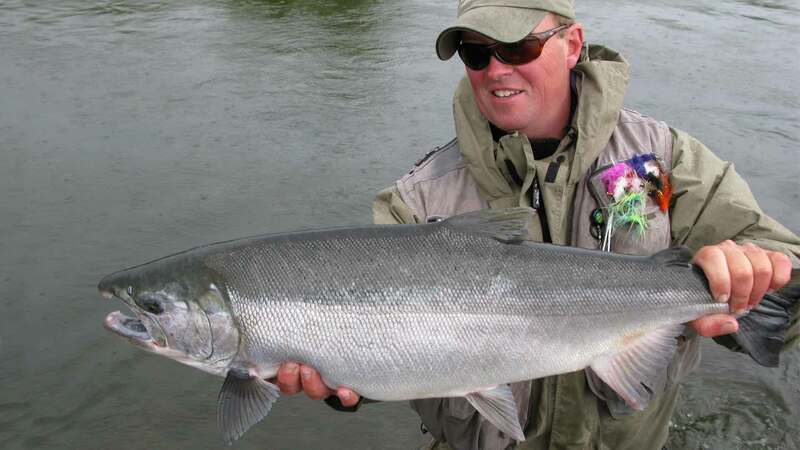 Silver Salmon Season: Mid-August to Mid-September. These silvers love pollywogs. The Sapsuk River is regarded as one of the very best silver streams on the Alaskan Peninsula. "What a fishery and at a great price. The manager picked me up at the airstrip at Nelson Lagoon and told me the river was the highest he had seen it in his lifetime. I thought we were going to have problems finding fish, but that was not the case. I fished about three hours and landed at least 25 silvers on pink bunny leeches. The fish were fresh out of the salt with many of them covered in sea lice. These are nice-sized silvers; most were 10-13 pounds. I couldn’t imagine how good it would have been under normal conditions. I only had the one day to see their operation, so I made the most of my short stay." You'll need to arrive in Anchorage the day before you depart for camp. The following morning, you’ll take a two-hour and 30-minute direct charter flight from Anchorage International Airport to Nelson Lagoon Airport. At Nelson Lagoon, you’ll be greeted by a camp representative. You'll take a scenic 50-minute jet boat ride to camp. 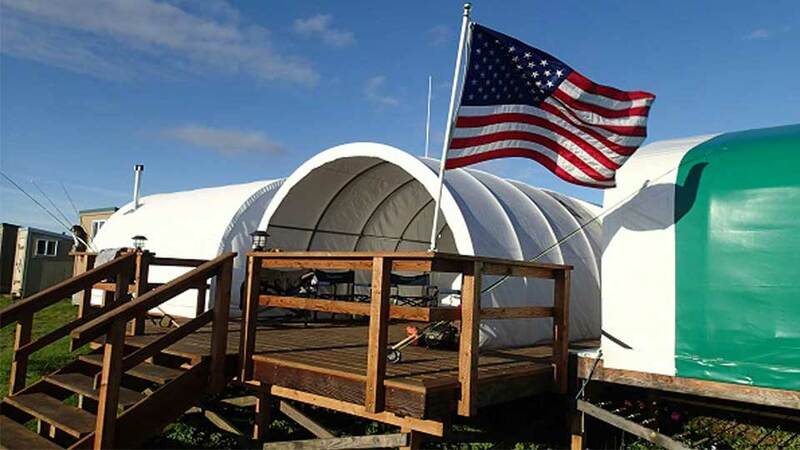 The accommodations at this riverside camp are insulated, heated, solid platform constructed WeatherPort tent-style structures with comfortable beds with linens, down comforters, blankets, and pillows. Two to three anglers per room. There is a separate storage tent for drying waders. There’s a bathhouse-style shower facility with on-demand hot and cold running water. Outhouses are just a few steps away. The camp is very well designed, comfortable, warm, dry and well maintained, and hosts up to six anglers per week. Cathy, the camp chef, prepares three hearty, homemade meals a day during your stay. Breakfast is usually between 6:30 a.m. and 7:30 a.m. Lunches usually consist of sandwiches and soups and can be served either shoreside or back at camp. At the end of each day, anglers enjoy drinks, appetizers, and a delicious dinner. Family-style dinners include main courses such as crab, salmon, chicken or a variety of steaks. 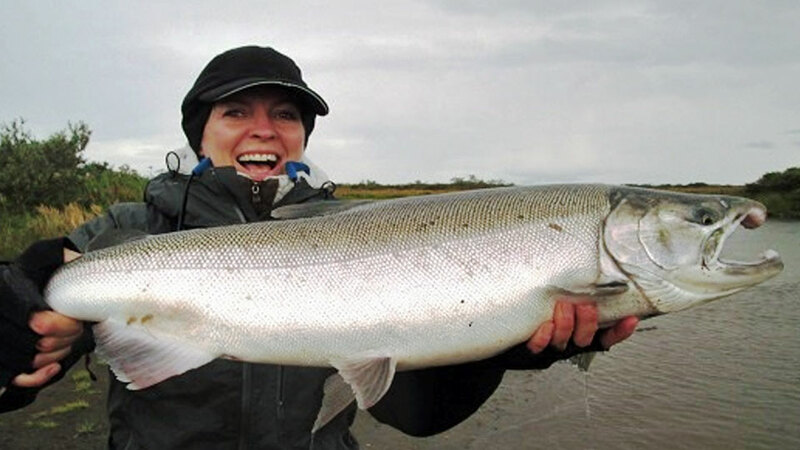 The Steelhead Camp is located at the mouth of a river, 40 miles west of Nelson Lagoon. All-terrain vehicles make the scenic hour-long drive down the Bering Sea beach. The camp is only open for three weeks during steelhead season and hosts two anglers, one guide, and one chef per week. The river/creek is much smaller than the Sapsuk River and is perfect for the single-handed rod, and allows anglers to sight cast to good numbers of fish. 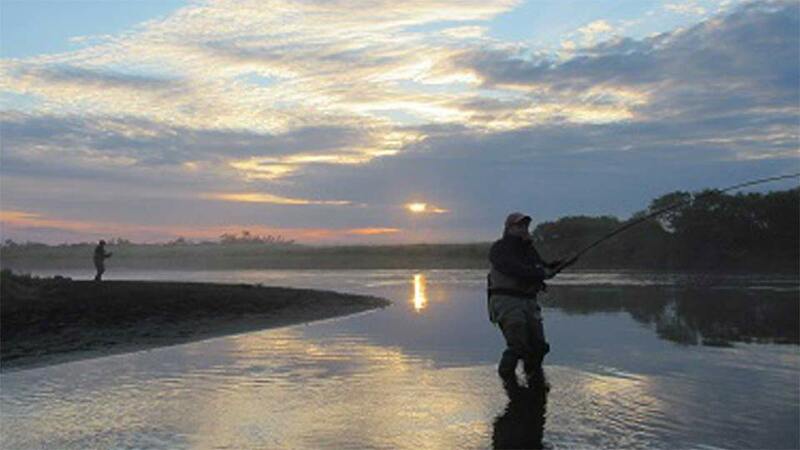 Lodging at camp, meals, non-alcoholic beverages, guided fishing, roundtrip boat transfer from Nelson Lagoon/camp, use of fly rods and reels, and fish care. Roundtrip airfare from home to Anchorage, first night’s hotel stay in Anchorage, roundtrip charter flight from Anchorage to Nelson ($1,560.00 p.p. ), gratuities, alcohol, fishing license, king salmon stamp, and anything not mentioned under inclusions. 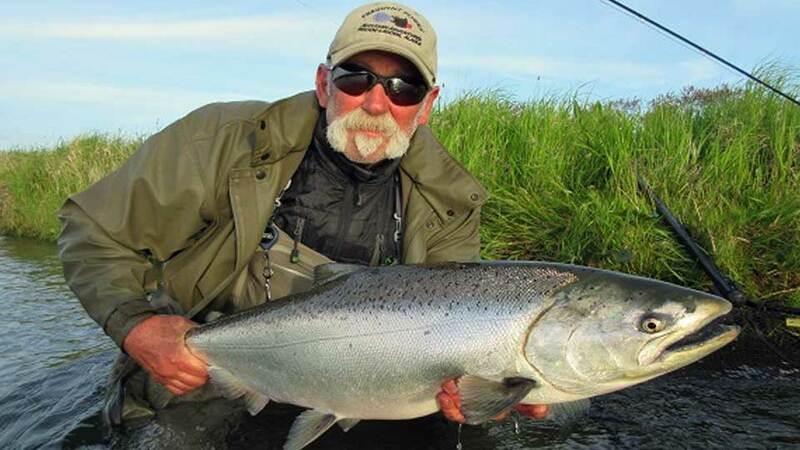 Fishing packages do not include the roundtrip charter flight from Anchorage to Nelson Lagoon. The price is $1,560.00 per person. Request Sapsuk River information packet. 20-pound silvers are weighed in each year.